Playlist (Go Quiet the Tumblers). 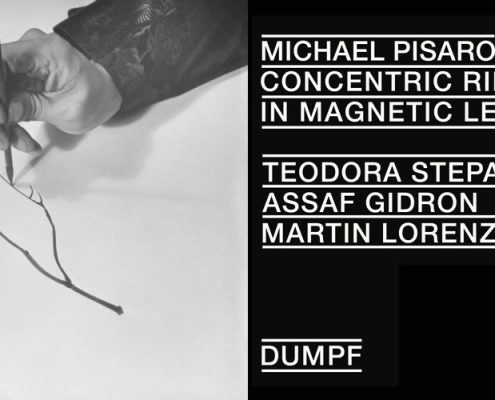 Included in this week's tally of memorable things Log editor Steve Smith has stuck in his ears are recordings featuring King Crimson, Mary Jane Leach, Michael Pisaro, and Per Nørgård. https://nationalsawdust.org/thelog/wp-content/uploads/2018/10/Playlist-Oct-29-2018.jpg 500 2000 Steve Smith https://nationalsawdust.org/thelog/wp-content/uploads/2017/10/national-sawdust-log.png Steve Smith2018-10-29 20:00:292018-10-30 00:49:17Playlist (Go Quiet the Tumblers). 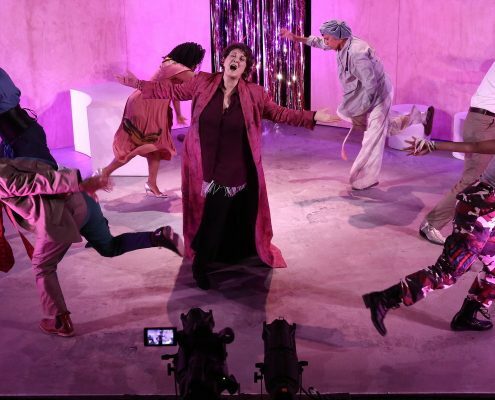 Left unfinished when composer Matt Marks died, 'Words on the Street' – running through Nov. 4 at Baruch Perorming Arts Center – finds his mission carried forward by a community he helped to build. 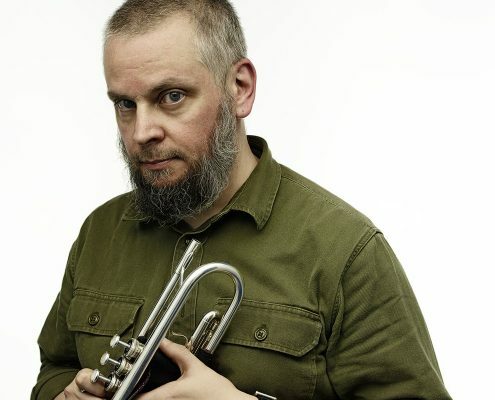 Trumpeter Nate Wooley talks with Kurt Gottschalk about the second "For/With" festival, at Issue Project Room Oct. 31-Nov. 1, and what it means to commission works for "the trumpet player as a whole." 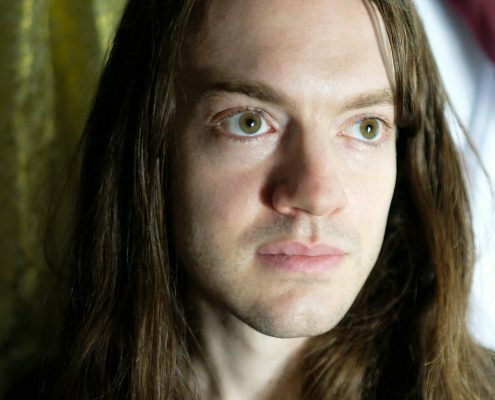 Provocative black-metal polymath Hunter Hunt-Hendrix talks to Brad Cohan about 'Origin of the Alimonies,' the ambitious new live-scored video opera he'll present at National Sawdust Oct. 25. Playlist (Und Ein Engel Ging Vorbei). 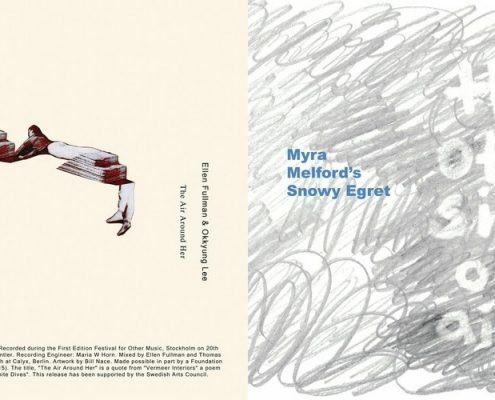 Included in this week's tally of memorable things Log editor Steve Smith has stuck in his ears are recordings featuring Cruel Diagonals, Ellen Fullman & Okkyung Lee, Myra Melford's Snowy Egret, and Okkyung Lee again. https://nationalsawdust.org/thelog/wp-content/uploads/2018/10/Playlist-Oct-22-2018.jpg 500 2000 Steve Smith https://nationalsawdust.org/thelog/wp-content/uploads/2017/10/national-sawdust-log.png Steve Smith2018-10-22 00:45:512018-10-22 00:45:51Playlist (Und Ein Engel Ging Vorbei). 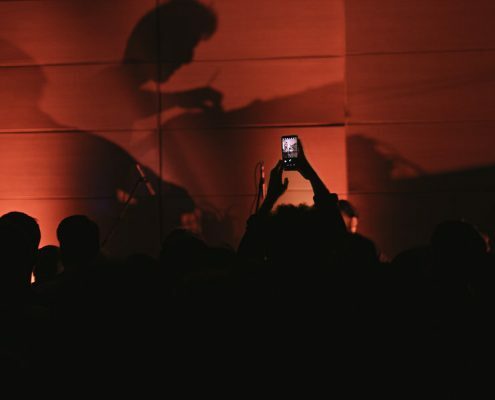 Steve Dollar files a report from Unsound Krakow 2018, a groundbreaking, genre-blurring Polish festival that has evolved into something so much greater than the sum of its components. Playlist (Everything Well in Tune). 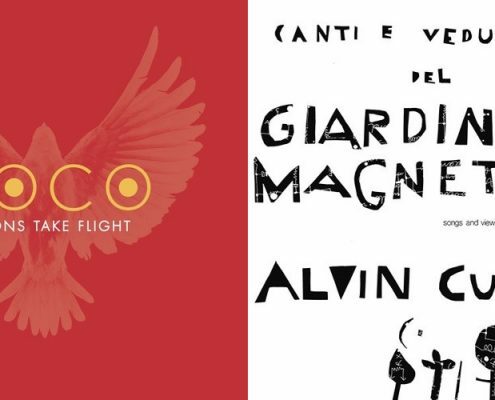 Included in this week's tally of memorable things Log editor Steve Smith has stuck in his ears are recordings featuring sound artists from Iran, ROCO, Alvin Curran, and Henning Christiansen. 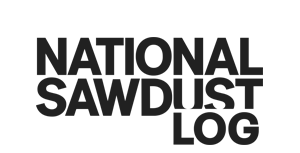 https://nationalsawdust.org/thelog/wp-content/uploads/2018/10/Playlist-Oct-15-2018.jpg 500 2000 Steve Smith https://nationalsawdust.org/thelog/wp-content/uploads/2017/10/national-sawdust-log.png Steve Smith2018-10-15 18:00:592018-10-16 02:18:17Playlist (Everything Well in Tune). 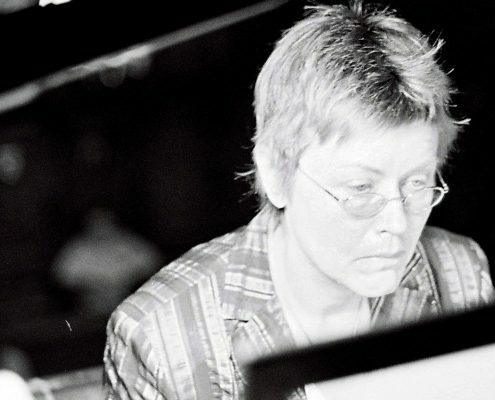 Ahead of a tour during which she'll collaborate with Ordinary Affects and New England Conservatory students, German composer Eva-Maria Houben talks about scripting musical encounters and decaying sounds. 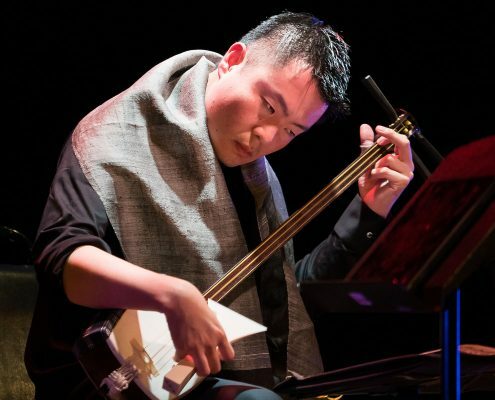 Shamisen innovator Hidejiro Honjoh and International Contemporary Ensemble members blazed new collaborative trails in "Shamisen Evolution," reviewed by Jennifer Gersten at Japan Society. Playlist (A Cassette of Fresh Screams). 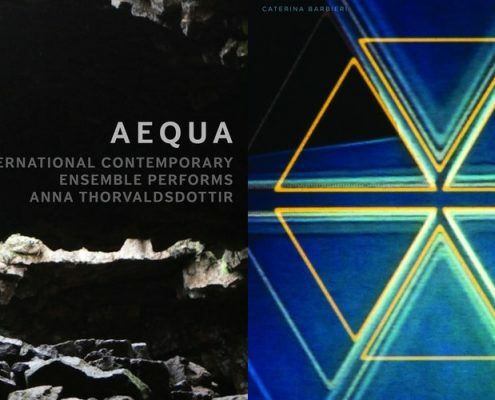 Included in this week's tally of memorable things Log editor Steve Smith has stuck in his ears are recordings featuring Todd Barton, Anna Thorvaldsdottir, Caterina Barbieri, and Henning Christiansen. https://nationalsawdust.org/thelog/wp-content/uploads/2018/10/Playlist-Oct-8-2018.jpg 500 2000 Steve Smith https://nationalsawdust.org/thelog/wp-content/uploads/2017/10/national-sawdust-log.png Steve Smith2018-10-08 03:10:322018-10-08 03:10:32Playlist (A Cassette of Fresh Screams).